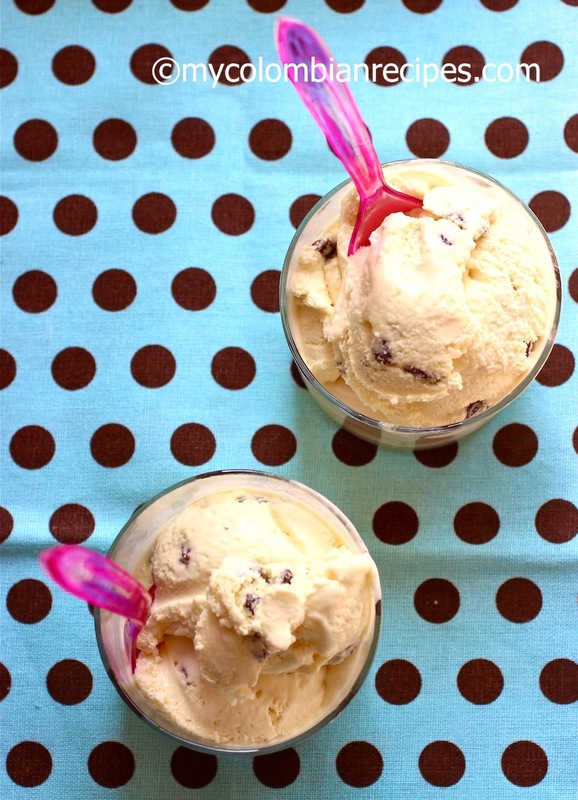 Summer and ice-cream go perfect together! I have to admit that I am an all-year-round ice-cream and popsicles person, but during the summer time I enjoy these frozen treats even more. 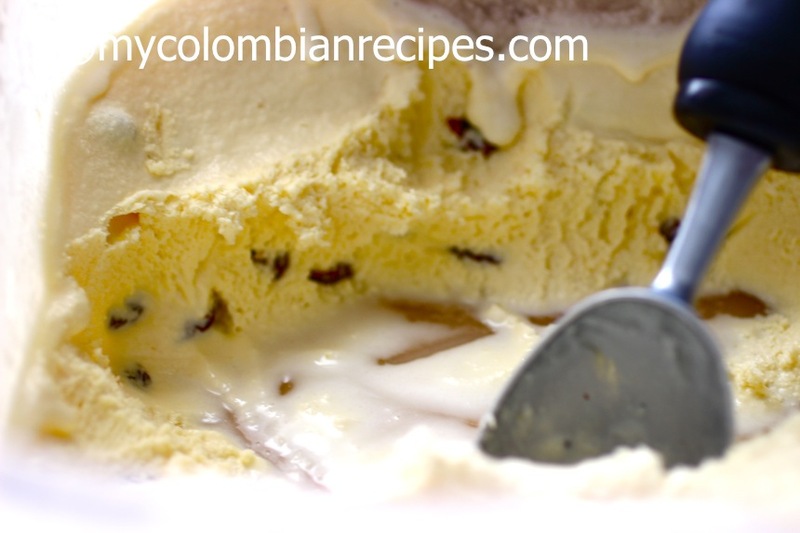 Helado de Ron con Pasas (Rum and Raisins Ice Cream) is one of the most popular ice cream flavors in Colombia and you can find it in every ice cream shop around the country. I’m not much of a drinker, but I love Helado de Ron con Pasas and it is my favorite ice cream flavor. 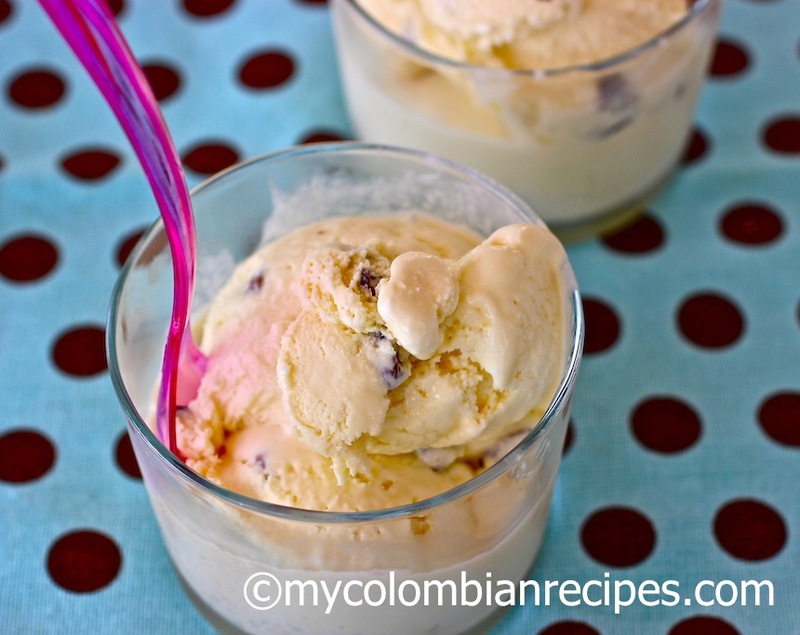 Making ice-cream at home is very easy, a lot of fun, and you can make exactly the flavor you are craving. 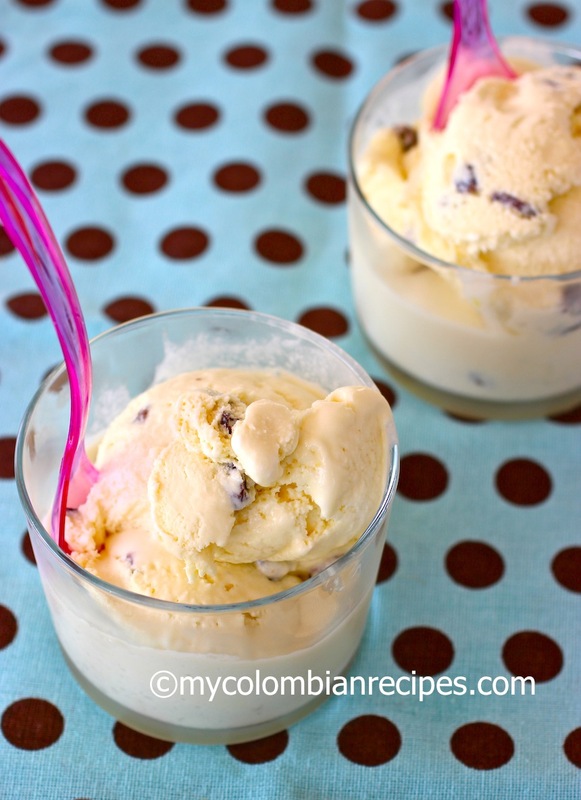 If you do not have an ice-cream maker, don’t worry, because you too can make delicious ice cream at home! 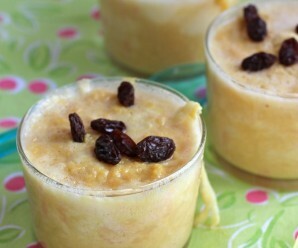 Place the raisins and rum in small bowl. Let it sit for about 3 hours. 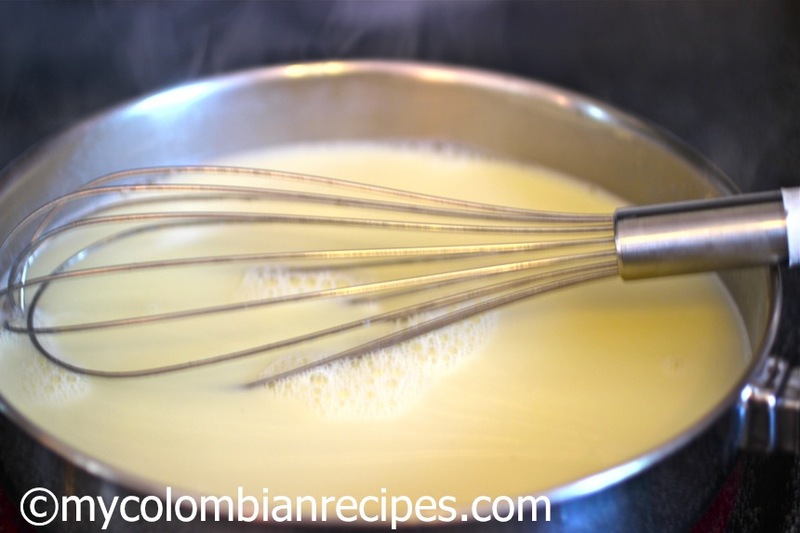 Combine the milk, cream and sugar in a medium sauce pan. Bring to a gentle boil over medium heat. Remove from the heat and pour the mixture into a glass bowl and place a piece of plastic wrap directly on top of the mixture. Cool the mixture completely. 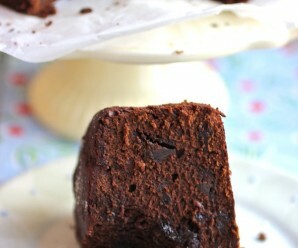 Pour the mixture in a plastic container and put it in the freezer. After 45 minutes, take it out of the freezer. 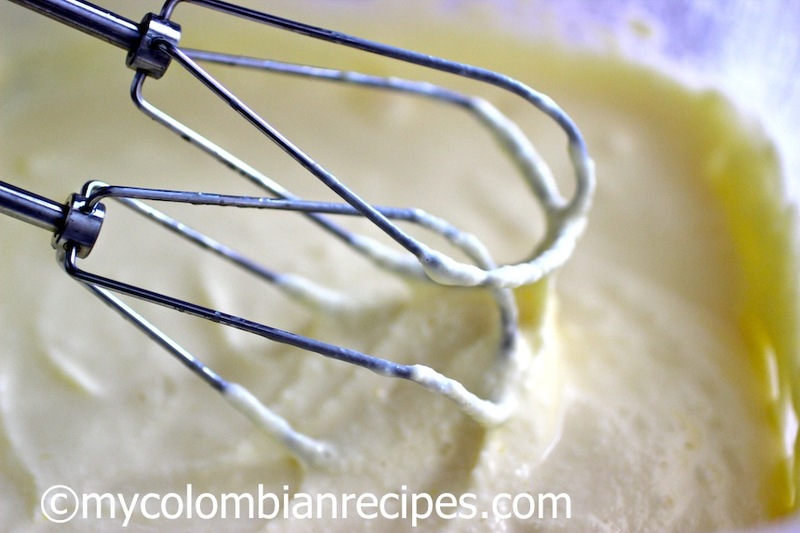 Add raisins and rum mixture to the custard and with an electric mixer, whisk for about 2 minutes and return to the freezer. Continue doing the same process every 30 minutes, until the ice cream is frozen. This will take about 3 hours. 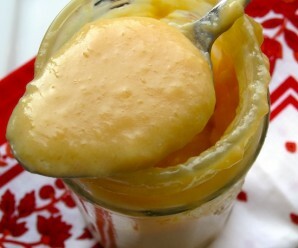 Note: If you have an ice cream maker: Transfer custard to the ice cream maker and follow manufacturer’s instructions. On hot days like this, it would take me over the edge! I so love this ice cream flavor, even as a kid. Probably got the non real rum version though lol. 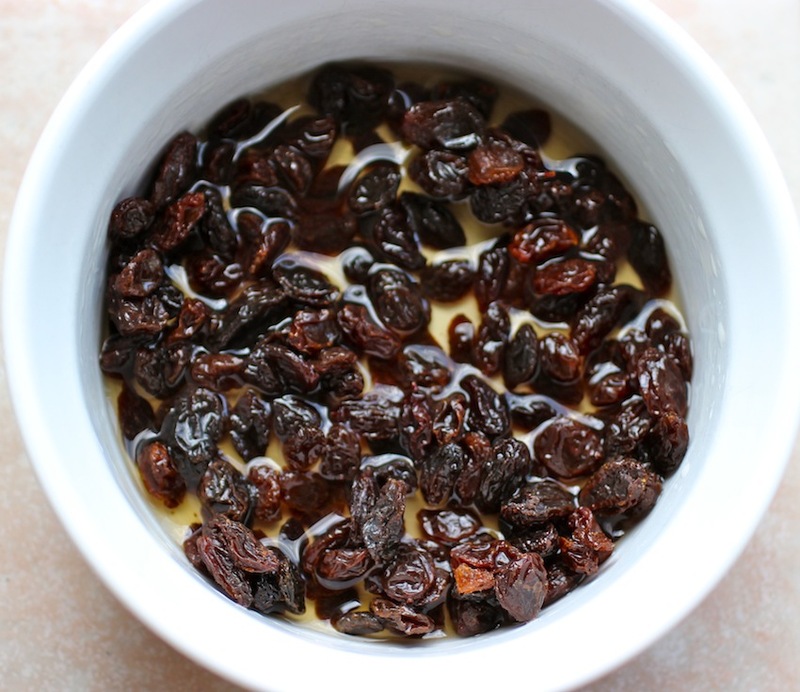 Those raisins soaking up the booze…salivating. 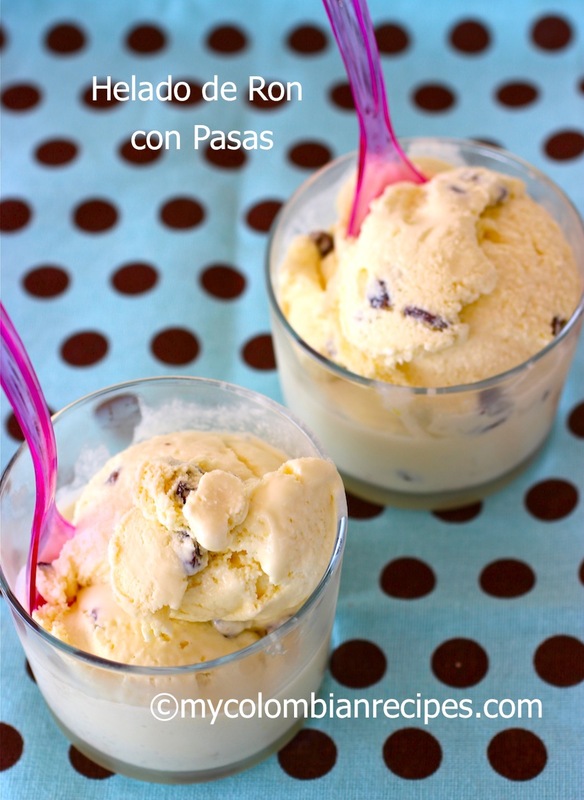 Ron con Pasas is one of my favorites ice cream flavors also, and since I have been living here in the States (10 ys) I have not have one. I am making it today for tomorrow’s Dia del Padre. Tank you for your recipe. Mañana te cuento como quedo. Father’s Day ron con pasas ice cream was a hit. It was a reminiscence of old good times for many of us. 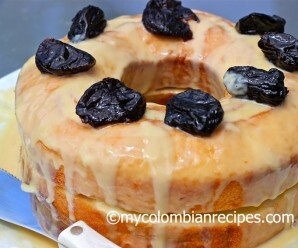 Some relatives ask me for the recipe, and of course I remit them to your page. 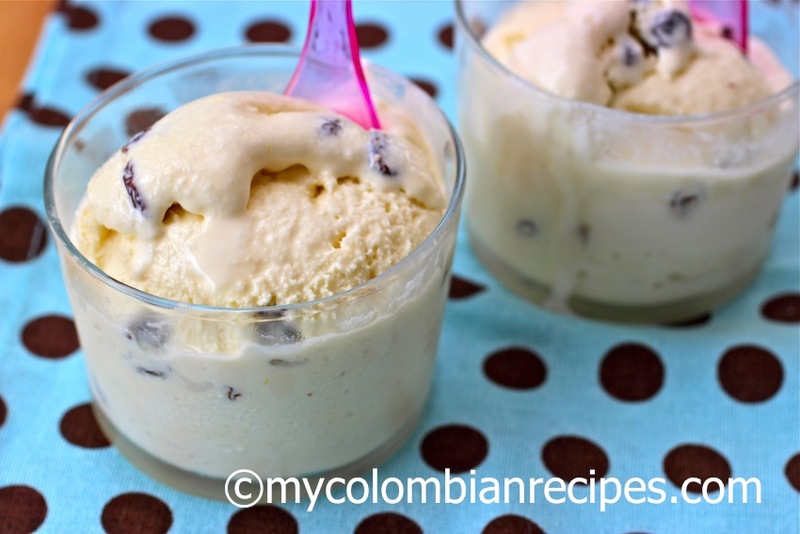 Gracias por esta receta de helado, mañana mismo lo boy intentar de hacer, ya que en febrero comense hacer helados para vender, la rason de haber comenzado de vender helados, es porque creo que con estoo podre seguir adelante con nuestro minnisterio aqui en Guatemala, ya que hasta en este momento no tenemos ayuda de nadie, y por eso buscamos la manera sostener nuestro ministerio.